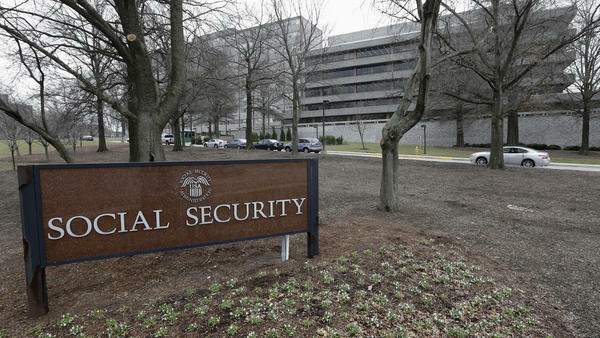 The Social Security Administration is reviving a practice from a decade ago of sending letters out to employers when Social Security numbers don't match their records. "It was a scare tactic," said Julie Pace, an employment lawyer at the Cavanagh Law Firm in Phoenix. Back then, as now, the federal government was trying to crack down on unauthorized workers. Pace understands the need to keep accurate records. But she thinks these letters were also intended to threaten employers who might have undocumented workers on the payroll. "They were like the very old school formal government letter that scared you," she said. There are a lot of reasons someone's Social Security number might not match: name changes or clerical errors, for example. But it can also mean that a worker is using a fake Social Security number. And when an employer gets one of these letters, it has to ask the worker to fix the problem. "It's the federal government who is now questioning something, and we're being the delivery boy so to speak in giving the message," said Gary Gitlin, an in-house lawyer for Pro's Ranch Market, a chain of grocery stores in Arizona. "We had to let a lot of people go" when his company got no-match letters in the past, Gitlin said, "because either they were not able to reconcile the no-match or simply refused to deal with it." Labor unions and immigrant advocates took the issue to court in the mid-2000s. The U.S. Chamber of Commerce complained that the government was trying to turn businesses into "immigration cops." Eventually, the Obama administration stopped sending these letters in 2012. Now, they're back. And so is the controversy. "This is part and parcel of an anti-immigrant agenda by the Trump administration," said Marielena Hincapié, the executive director of the National Immigration Law Center. "This fits squarely within its overall strategy of instilling fear and chaos among immigrant workers." The Social Security Administration insists it is trying to improve the accuracy of its records. "If we cannot match the name and SSN reported on a W-2 to our records, we cannot credit earnings to a worker's record," said spokesman Mark Hinkle in a written statement. "When earnings are missing, the worker may not qualify for Social Security benefits he or she is due or the benefit amount may be incorrect." The agency declined an interview request. Its written statement doesn't mention immigration at all. But immigration hard-liners say they are glad to see no-match letters return. "If an employee is using a stolen Social Security number, we think it's important for relevant people to know," said Dan Stein, president of the Federation for American Immigration Reform, which advocates for lower levels of immigration. Stein says he has no sympathy for undocumented immigrants who are using fake Social Security numbers to work or for employers who have been looking the other way. "Illegal immigration is ultimately everybody's problem," Stein said. "And one of the reasons why we've seen it blow out of control in the last 30-some years is because employers have not been willing to do their fair share in ensuring that American jobs go to American workers." But employers say it's not their job to enforce immigration laws. "It's a very fine line for employers to walk and not get in trouble on either side of the line," said Pace, the lawyer. "That's the catch-22 that you sometimes see." When no-match letters went out before, Pace asked for guidance from immigration authorities and from Justice Department lawyers, she says. And she got two different answers. Immigration authorities said employers should look at these letters as evidence that their employees are undocumented. But the Justice Department said not so fast: If you fire a worker based just on this letter, that could be discrimination. "Sometimes I would get both agencies on the phone at once so they could try to get on the same page with direction on that," Pace said. "Because they gave different direction from each agency." IMPORTANT: This letter does not imply that you or your employee intentionally gave the government wrong information about the employee's name or SSN. This letter does not address your employee's work authorization or immigration status. You should not use this letter to take any adverse action against an employee, such as laying off, suspending, firing, or discriminating against that individual, just because his or her SSN or name does not match our records. Any of those actions could, in fact, violate State or Federal law and subject you to legal consequences. Still, Pace has a feeling that some employers will overreact anyway. She has seen it happen before. Some other news now - the U.S. government is reviving an old tactic against employers who hire workers in the United States illegally. It takes advantage of a basic fact. When you're hired, your employer asks for a Social Security number. And the Social Security Administration is telling employers when it questions an employee's number. NPR's Joel Rose reports. JOEL ROSE, BYLINE: It sounds pretty innocuous. The Social Security Administration plans to start sending letters to businesses across the country notifying them when an employee's Social Security number doesn't match up with official records. But these no-match letters, as they're called, are expected to set off alarm bells. That's what happened when they arrived in the mail back in the mid-2000s. JULIE PACE: It was a scare tactic. ROSE: Julie Pace is a lawyer in Arizona. Back then, as now, the federal government was trying to crack down on unauthorized workers. Pace understood the need to keep accurate records, but she thinks these letters were also intended to threaten employers who might have undocumented workers on the payroll. PACE: They were scary. And they were very old-school, formal government letter that scared you - the way it was typed, the font on it. ROSE: There are a lot of reasons why someone's Social Security number might not match - name changes or clerical errors, for example. But it can also mean that a worker is using a fake Social Security number. And when an employer gets one of these letters, they have to ask the worker to fix the problem. GARY GITLIN: It's the federal government who is now questioning something. And we're being the delivery boy, so to speak, in giving the message. ROSE: Gary Gitlin was a lawyer for Pro's Ranch Market, a chain of grocery stores in Arizona. Gitlin says he got lots of no-match letters. GITLIN: We had to let a lot of people go because either they were not able to reconcile the no-match or simply refused to deal with it. ROSE: Labor unions and immigrant advocates took the issue to court. The U.S. Chamber of Commerce complained that the government was trying to turn businesses into, quote, "immigration cops," unquote. Eventually, the Obama administration stopped sending these letters in 2012. Now they're back, and so is the controversy. Marielena Hincapie directs the National Immigration Law Center. MARIELENA HINCAPIE: This is part and parcel of an anti-immigrant agenda by the Trump administration. This fits squarely within its overall strategy of instilling fear and chaos among immigrant workers. ROSE: The Social Security Administration gave us a written statement. The agency says it's indeed trying to improve the accuracy of its records - which makes sense because the bean counters want to be sure that when you retire, you get the right amount of money. The statement doesn't say anything about immigration, and the agency declined our request for an interview. Immigration hard-liners, though, say they are glad to see no-match letters return. DAN STEIN: If an employee is using a stolen Social Security number, we think it's important for relevant people to know. ROSE: Dan Stein is president of the Federation for American Immigration Reform, which advocates for lower levels of immigration. Stein says he has no sympathy for undocumented immigrants who are using fake Social Security numbers to work or for employers who've been looking the other way. STEIN: Illegal immigration is ultimately everybody's problem. And one of the reasons why we've seen it blow out of control in the last 30-some years is because employers have not been willing to do their fair share in ensuring that American jobs go to American workers. ROSE: But employers say it's not their job to enforce immigration laws. And lawyer Julie Pace says no-match letters put them in a classic Catch-22. PACE: It's a very fine line for employers to walk and not get in trouble on either side of the line. ROSE: When no-match letters went out before, Pace says she asked for guidance from immigration authorities and from Justice Department lawyers and got two different answers. Immigration authorities said employers should look at these letters as evidence that their employees are undocumented. But the Justice Department said - not so fast - if you fire a worker based just on this letter, that could be discrimination. PACE: There were times where employers just were firing people because of those letters. And sometimes, I would get both agencies on the phone at once so they could try to get on the same page with direction on that because they gave different direction from each agency. ROSE: This time around, the Social Security Administration has changed the wording on no-match letters to clearly say this is not about immigration. Still, Pace has a feeling that some employers will overreact anyway. She's seen it happen before.